15 November 2018 – ​​Close Finance (CI) have been working tirelessly in 2018 to support local community projects and charity events throughout the Channel Islands. Since October they have been raising money for the JSPCA’s Save Our Shelter campaign. Rachel Scott Renouf and ​Elaine Miller along with other members of the Jersey team have been creating hand painted pebbles which are available from the Close Finance Conway Street office for a minimum £5 donation towards the Save Our Shelter campaign. Close Finance has already reached their £1000 target and still have many pebbles available to choose from. 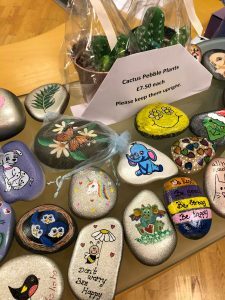 To donate £5 to the JSPCA and choose a hand painted pebble you can visit the Close Finance Jersey office at ​Conway House, Conway Street, St Helier.